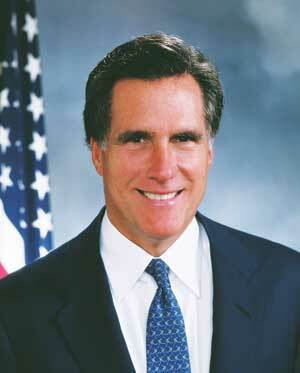 I love Mitt Romney. His hair is real cool, and he’s personally made about $400M from deals like Staples, where I buy paper for my printer. My parents were very fond of his dad George. Now Mitt’s running for President. The press is awash in speculation about whether his particular brand of Mormon magic is going to make it impossible for him to win the nomination or the election. Mitt’s eager to assert that Mormonism is just another regular old type of Christianity. Hey, Jesus is his personal savior. Someone I know recently shared with me their experience in applying for a job at the State Department. I’m interested because I thought it might cast light on why the State Department, in spite of being filled with such bright folks, hasn’t accomplished anything useful for at least the past four years. And it does. First, the testing process. You start off by taking the Written Examination, which about 20% of the applicants pass. Next, you take the Oral Assessment, which sounds like they are checking out your teeth. It’s an all day interview and role-playing exercise, also with a low pass ratio. My friend failed the test, although she did pass one of the three components—the so-called “Case Management” part, where you are given a situation in the form of a bunch of materials to read, analyze, think about, and then come up with recommendations in the form of a written memo. This was the component where some doubts began to arise in her mind: why, in order to join the elite Foreign Service of the United States, are applicants given a problem involving re-orging a five-person department at the embassy in a fictional Arab country that can’t seem to get its visas issued? Managing the janitorial crew at the local Wal-mart would probably be more challenging, involve at least as many cross-cultural issues (at least here in LA), and could well pay as much, although I’m sure State’s dental plan is better. But her main problem was the so-called “Structured Interview” part of the day, one of the two components (the other being the “Group Exercise”) she didn’t pass. The lead-off question was why she wanted to work at State. Now, everyone knows this is coming, and everyone has an answer ready, but guess what: you have to really know why you want to get this job. It’s not enough to say I like foreign countries, or I think it would be cool to live in SOUTH KANUBISTAN, or I love the idea of sitting in a little booth all day stamping visas in the Kanubis’ passports, or the $400 per month in hazardous duty pay sounds great when all I have do to get it is get shot at occasionally. You have to have a real reason. This is harder than it sounds because, in actuality, there are not very many good reasons to want to work at State. Forty years ago, oh my, were these people at the top of the heap—sort of like a diplomatic version of those glamorous stewardesses who, can you imagine, got to travel to other countries, including ones with weird names on exotic continents! Turns out that in 2005, State employees are still like stewardesses: grossly overworked, horrifically underpaid, challenged only by the masses of unwashed screaming customers below and clueless bureaucrats above. But wait: some Foreign Service officers may rise to the exalted level of ambassadorship, right? Not really, if it’s an important country—in that case, like in Japan recently, Bush will appoint one of his fund-raiser cronies, while your job is to fetch him a glass of water. Even if you did become ambassador to some little third-world country, your job is basically reading the memos that come from DC and managing other sad American souls like yourself who responded to the siren call of a life in the “diplomatic corps”, and then made the mistake of actually passing the Oral Assessment. Or, you might become one of the Examiners administering the “Assessment” yourself! My friend reports, though, that the ones examining her did not look especially pleased with their lot in life; one told her that this exact same daily grind, looking at loser after loser day after day, was going to continue until the end of March. You might also get a job organizing parties at the embassy! This was the topic of one of the “hypothetical questions” that form part of the structured interview. Such complex questions quite likely account for the high failure rate—only really savvy party folks are going to be entitled to bear the mantle of planning America’s parties in distant lands. All in all, though, or so my friend opines, the Oral Assessment process seems to have functioned well. She and State looked at each other and decided they didn’t want to work together, and the feeling was entirely mutual. All the guys at State are real smart and I’m sure there are good reasons for why they put together this kind of test. The results of decades of la creme de la creme passing through this eye of the needle is that the State Department is now staffed with the absolute best and brightest. But unfortunately, over the last four years at least, they have been, at best, mere bystanders in the process of American diplomacy; the real decisions were made by the neocon hawks. Smart guys at State counseled against going into Iraq and urged more planning at a minimum, but were essentially told to go bork themselves. State has basically ended up cleaning up Cheney’s and Rumsfeld’s mess, and will continue to do so for many years to come. The State people knew that we should continue to engage North Korea; Bush thought he knew better. The State people knew that we should continue exercising our good offices in the conflict in the Middle East; Bush thought that was too “Clintonian” and our entire diplomatic involvement in the Middle East was essentially terminated for the first three years of his term while the problem festered. Meanwhile, ignored and isolated, Colin Powell’s exemplary integrity did not quite extend to doing the obvious, namely resigning; instead, he let himself be manipulated into giving the ridiculous dog and pony show at the UN where he repeated in front of the world the fabricated intelligence about WMDs in Iraq. Now, should you be lucky enough to pass through the golden gates of State, your boss will be the person who herself helped create those fabrications, and amazingly, reiterated at her confirmation hearings that everything went great in Iraq and she wouldn’t do a single thing differently. But have no fear: through thick and thin, the brave men and women of State will continue valiantly to stamp visas and plan parties. Terri Schiavo is dead. May she rest in peace. I posit that what drove them to such fervor in keeping Terri alive was a deeply rooted personal fear of death. Not content to live in private torment with their inner demons, these emotionally stunted political and religous “leaders” then proceed to inject their own terror of dying into the body politic at large, amplifying and aggravating the fear of death reverberating throughout our society. True to their conservative roots, they fear all change, but above all that most dramatic change when life comes to an end. I’ve read the materials the Archbishop pointed me to in response to my criticism of his Op-Ed piece in the NYT, and I think I understand his thinking (better). The dignity of human life. You never violate it. Whether it’s the creation of embryos for embryonic stem cell research or abortion, are violations of the dignity of human beings, from our perspective. And you can never justify it. You can sometimes justify going to war. You may think that the Iraq war is horrible, but there may be sometimes when you can justify [going to war]. It doesn’t have the same moral weight. Couldn’t be clearer. The life of the child dying in the Iraqi bombing raids just isn’t worth as much as that of the frozen embryo. Sorry about that! Some things are more foundational than others! This is a perverse viewpoint not supported by anything in scripture. But the real problems start when the archbishop combines this with his peculiar notion of the separation of church and state—something he called, if you recall, “dangerous” and “dishonest”. It’s not enough just to believe something and conduct your life in accordance with your beliefs, but you must, not should but must, on pain of perdition, also vote for politicians who agree that people that disagree with you should be thrown in jail. God wants that. …the importance of our faith having a substantial impact on our public life, whether it be the generosity of our giving or the public policy we embrace in our speaking, or the positions we take in running for office or voting. I see. Voting for Presidents who will appoint Supreme Court Justices who will throw raped teenagers in jail for getting an abortion is right up there with “generosity of giving”. Archbishop Chaput has managed to take two radical errors of thought—that some lives are worth more than others, and that separation of church and state should be abolished—and combine them in a particularly pernicious way. Perhaps he should consider the recent report that abortions, which went down under Clinton, have now gone up under Bush. The reason: the dismal Bush economy. Chaput must be proposing that instead of electing someone who can improve our economy, we should elect someone who will make all the girls get coat-hangar abortions in back alleys. Apart from the merits of his position, one wonders if His Eminence has given any thought to the long-term effects of his unwise outspokenness, which will be to discredit Catholic thought in the context of the American political process, and to discourage Catholic politicians from running at all. Readers of this blog will recall Steven M. Altig, an incompetent Las Vegas defense lawyer thanks to whose efforts “K” ended up with a 25-45 year sentence in the Nevada pentitentiary system. I just this very afternoon returned from a “last chance” hearing. It had already been continued once for Altig’s benefit (something about him going out of the country on vaction for 4 months and didn’t bother notifying anyone – I had to call Wolfson’s office a week before my trial to find out he was out of town,) and they would not allow it to continue again without severe penalty. And he didn’t even bother to show up! I’m glad I did even though he had recommend I not, as otherwise I would have been found in default if one of us hadn’t shown up and suffered highly. Fortunately I had prepared extensively for just such a situation (he has been continuing things for 10 months now and I’ve been beginning to suspect something suspicious) and managed to stumble through it “without legal representation” and think I probably did better than he would have. As it is, if this does not play out, I’m considering a malpractice suit and have already demanded a refund of his fee. If you decide to do a class action malpractice suit let me know. Even more ironic, the date you wrote the blog was almost to the day when I first contacted him. Wish I had read it first. I’ve got some choice words about Wolfson now too. Originally my acceptance letter from Altig claimed Wolfson would be conferring my case. By June, after one continuance, Wolfson was elected to ward rep., a politcal office, for my ward (unfortunately the fact that I voted against him was not sufficient to keep him out of office—he actually walked door to door in my neighborhood and I asked him if his getting elected would affect my case and he said “no”) and now cannot practice law in LV municipal court where my case is being heard (conflict of interest), so now I’m stuck with Altig, alone, in his own office (you think getting him to return calls before was a problem? ), he doesn’t even have a secretary anymore apparently, you just get voice mail. I think he’s currently operating out of a cardboard box on Fremont and 4th. Feel free to post this in your blog if you like, just leave out my name and other info, and any other changes you need to. I’ll feel better knowing I helped keep someone else out of his clutches. We feel for you, M. Good luck. Let’s talk about that malpractice suit. In an absurd NYT Op-Ed piece on October 23, 2004, Charles Chaput, the Catholic archbishop of Denver, says the separation of church and state is “an empty slogan…dishonest…dangerous.” Gee, that would surprise the framers of the Constitution, who put it in the very first Article of the Bill of Rights. Thanks to the editors of the Times for inviting such vigorous discussion. What’s next, an article calling for the revocation of the 13th Amendment? The 19th? Lawmaking inevitably involves some group imposing its beliefs on the rest of us. That’s the nature of the democratic process. If we say that we “ought” to do something, we are making a moral judgment. This is precisely, and fundamentally, wrong. Perhaps the good bishop is incapable of imagining the world in other than purely moral terms, but there is an entirely different perspective upon which modern-day democracies are based: judgments about the best (not morally right) ways to run our societies. Basic example: we put murderers in jail not because what they did is wrong, but because left unpunished it will harm the operational fabric of society. The minute we outlaw things because we think they are wrong, we have stepped onto a very slippery slope. The bishop claims that “No one in mainstream American politics wants a theocracy”, yet what he is proposing—a politics based on morality (his)—is the exact definition of theocracy. The anti-abortionists believe that abortion should be outlawed because it is Wrong. Again, this is your quintessential theocratic viewpoint. The real question is whether abortion harms our society operationally. Preventing me from controlling my own body and life is to impose your anti-abortion beliefs on me. On the other hand, allowing people to control their own bodies and lives is not “imposing” anything on the anti-abortionists, other than the existence of behavior in their society of which they morally disapprove. Sorry guys—no one ever said democracy means you could outlaw everything your religion doesn’t like. First the Catholics said that voting for John Kerry would be a sin. Now they’re taking the ridiculous faux-symmetry position that if their opponents are going to stand up in favor of some human right, then it’s OK for them to inject religious tenets into the political debate to deny people that right. Let them just tend to the spiritual needs of their flocks instead. If they continue to insist that being true to your beliefs requires forcing others to abide by your moral standards, ship them to Iran. And as in all the anti-Kerry Catholic diatribes in this election, of course, we find no mention of capital punishment or killing innocent civilians in unjustified wars in our friendly vicar’s “pro-life” screed. I went ahead and took them off and put them through the machine even though just five days earlier no one at LAX had asked me to take them off. On the other side of the screening device, I asked a different screener why I had needed to take off my shoes. She said they fit the profile of a heel taller than 1” (which they didn’t). I mentioned I had not been asked to take them off at LAX and her response was that LAX should have made me take them off. I told her that I thought the most recent TSA directive on shoes was that passengers got to decide whether to take them off or not, and she told me I was wrong. She mentioned that I could refuse to take off my shoes if I wanted, but then I would be automatically sent to the special frisking area where they would make me take them off anyway. Hmmm. Problem is, the TSA’s official site says that I was right: passengers are allowed to decide whether to take off their shoes. The 1” rule is apparently only a guideline concerning when TSA personnel should recommend that people take off their shoes. Granted, this policy is very hard to parse. Rhetorical question: If the TSA cannot get its policies on shoe removal right, and train its people properly, how well do you think really important policies on detecting terrorists at checkpoints are being defined and implemented?